Running a small business is never an easy job, but your life doesn't have to be hard if you become an entrepreneur! These great tips should help you! 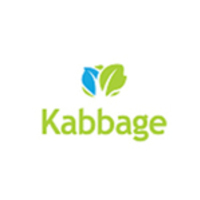 This article is brought to you by Kabbage, the industry leader in providing working capital online. Kabbage offers the security of a business line of credit and allows applicants to qualify in minutes! “You can please some of the people all of the time, you can please all of the people some of the time, but you can’t please all of the people all of the time.” Penned by poet John Lydgate, quoted by Abraham Lincoln and adopted by business leaders including Tony Robbins, this statement is critical for small business owners to keep in mind. Your product cannot, nor should it, appeal to everyone. Choose a focus for your business, hone in on it, master it and sell it. That can mean focusing and excelling with one product or one service, but it can also mean marketing to a particular demographic or cultivating a very specific brand. In addition to the overall focus of your company, you, as a business owner, need to focus on continuous improvement. Don't let failures get you down - take each and every failure and learn from it. What happened? How did it affect your company? What could you have done differently? What knowledge can you draw from the experience? Use that knowledge to move forward. Beyond embracing failure, set yourself up for success by identifying key areas where you want to improve. Set annual, quarterly and monthly goals and, at the beginning of each day, set an intention (something that inspires you and helps you improve). In terms of setting goals and dealing with challenges, don't let large mountains scare you. Break them down - take a metaphorical hike up the mountain, stop, have a picnic, and set off again. Any goal is obtainable - you may just need to break up the route into a series of short jogs rather than a marathon. Simply, distill goals and problems into manageable tasks so they aren't overwhelming. Small business management is time management. Whether you are balancing the timing between your revenue flow and accounts payable, scheduling employees, organising your own day or creating your business plan, a lot of it boils down to simple time management. Organisation with a side of flexibility is key. Take a few moments at the beginning of each week and create your schedule for the week. Write down a list of what needs to be done, and prioritise tasks. Then, open your calendar and pencil in tasks around the meetings you already have scheduled. Give yourself a bit of breathing room for surprises, accidents and emergencies. Finally, don't be afraid to delegate either. As a small business owner, you cannot do everything yourself, and quality, trustworthy employees, contractors or consultants are essential. Growth also needs to be organised. Unfortunately, small business owners buoyed by successes who expand too quickly may find their growth and the associated expenses unsustainable. To avoid that situation, but also ensure that your growth isn't hindered, schedule growth. Track your financials to use as quantitative data, but also keep notes so you can compare qualitative events and successes. Use your information to compare different periods of time, different types of ad campaigns and different approaches with employees. Track what works and what doesn't work, look for trends and use that information to determine when, how and which direction you want your business to go. Then, tread forward on schedule, armed with information. Growth can be expensive, and it can often necessitate an injection of capital. Small business owners need to embrace debt - after all, you have to spend money to make money - but they need to use it wisely. A third of small business owners use credit cards to get their businesses started. For some, that's the leg up they need to make their dreams a reality. For others, it's the event that ultimately triggers their demise. Studies show consumers spend significantly more using plastic than they do with other forms of payment, even spending up to double the price for an item than they normally would. Additionally, high-interest rates and fees lock many business owners into debt for decades. But, relatively low interest rate loans that allow a business to grow can be an investment. If you're spending 6 percent on interest, for example, but your business is growing at a rate of 8 percent a year, the debt is paying for itself. Traditionally, small business owners turned to banks for funding, but as big banks turn down 80 percent of small business loan applications, alternatives have entered the market. In particular, the Small Business Administration created the microloan program. Designed to foster the growth of the nation's small businesses, this program offers government-backed loans up to $50,000 from non-profit community-based organisations throughout the country, allowing small businesses to access capital strategically and affordably. Investigate all the options, and use debt carefully. Whether you're selling mops, closet organisation sessions, jewellery or hamburgers, the right price is critical. The price should reflect the value proposition of your product - simply put, high-value or luxury products need to cost enough so that they look elite, while budget-focused products need to be affordable. Beyond the image created by price, you also have to ensure that the price of each product or service covers a full share of overhead. Pricing your items to only cover their manufacturing or production cost is ultimately unsustainable. In addition to considering the cost of goods sold, you have to think about the rest of your overhead and make sure your pricing includes ample profit margin to cover your operating expenses as well. Whether you're pricing, branding or marketing, look at how your competitors are doing business. Don't mimic their successes. Rather adopt what works and make it your own. Just as it's important to keep tabs on the competition, it's also important to share and network with companies that are complementary to yours. If you sell wedding cakes, for example, partner with a wedding planner who sends business in exchange for sending her clients. Create a network with other companies, but also, remember to work on the network within your own enterprise. Communicate with your employees - make sure they know what you expect and when you want it delivered. Remember, however, to make communication a two-way street. Meet with your employees, collectively and individually. Hear their concerns, elicit their ideas and foster the team spirit of your enterprise. Without their help, your business won't be the success you need it to be. Focus on making them happy, not by giving them everything they want, but by being an empathetic, supportive boss who sees them as an investment. Satisfied employees truly are an investment. Over a seven year period from 1998 to 2005, publicly traded companies that were named the best employers by Forbes, enjoyed a 14 percent increase in their stock prices, more than double the 6 percent increase enjoyed by companies overall. The ABC of business management applies to every business because every business is selling something. Whether you are selling a product, service, business philosophy or a personal brand, you should always be selling and always be closing. Successful sales management can be distilled into three parts: philosophy, mechanics and action. Philosophy represents your approach to selling, and this varies based on your value proposition, brand and personal business preferences. But, many business analysts tout the benefits of a discovery-based sales philosophy. With this philosophy, you leave crumbs for potential clients, sparking their curiosity and gently invoking a feeling that they need you. That brings them to your corner where you initiate the mechanics of your sales strategy. The mechanics of your sales strategy involves hiring the right people, writing sales scripts and creating protocols. It requires, like many aspects of running a small business, planning and management. Finally, you put everything into action and watch the revenue and relationships roll in. Running a small business isn't for the faint of heart. It's for those with dreams who aren't afraid to work toward them. Take these tried and tested small business strategies and let them fuel your success. From focusing to closing, just do it. Kabbage is dedicated to supporting small businesses. Kabbage has funded more than $1.6 billion to help businesses grow and is trusted by more than 100,000 small business owners.